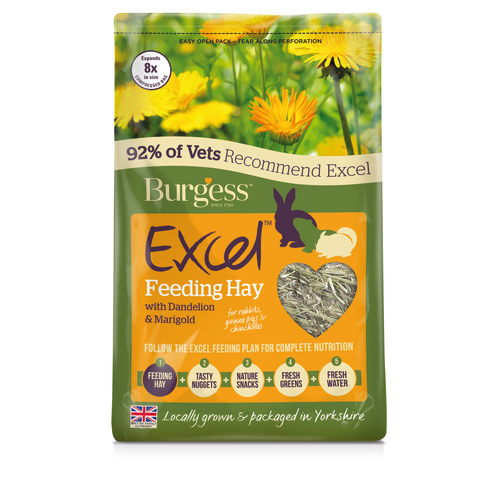 Burgess Excel Herbage is extra tasty feeding hay blended with sweet, fragrant herbs small pets find delicious. It's a great source of quality long fibres, suitable for all small animals. It's made with a unique drying process which makes longer, sweeter, greener hay. Besides being a healthy addition to your pet's diet it helps prevent boredom too!